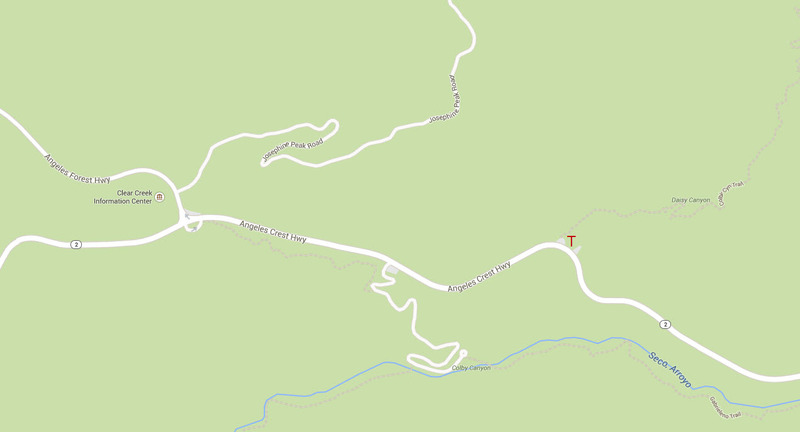 Location: Colby Canyon Trailhead Google Map on Angeles Crest Highway east of Switzer Picnic Area. 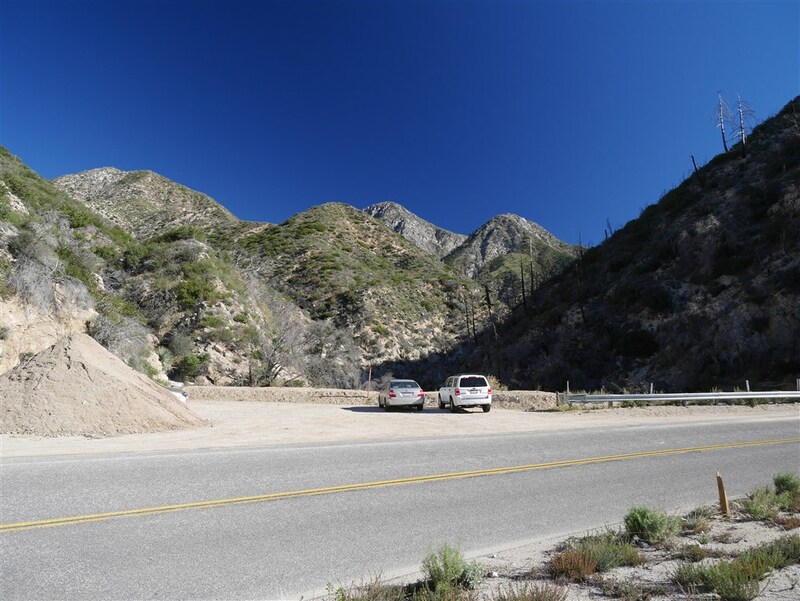 View of Colby Canyon Trailhead Parking. Colby Canyon Trail to Josephine Saddle, 4.4 miles, 1400′ gain and loss.